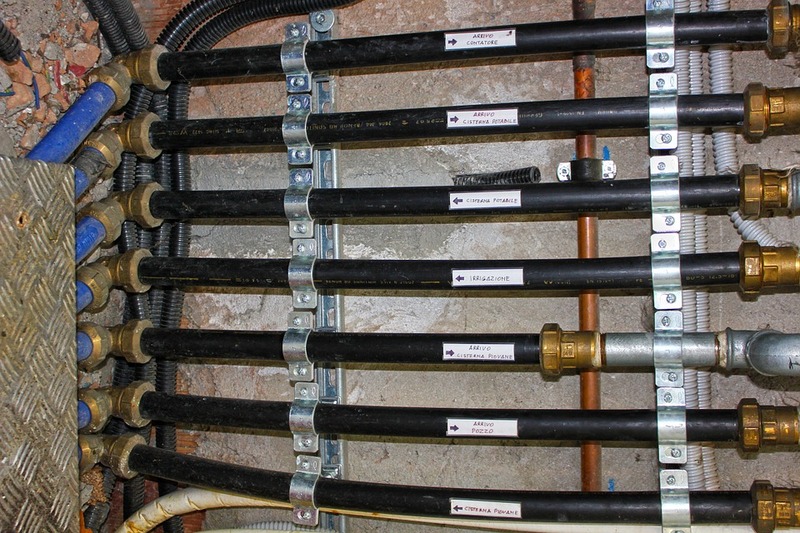 Water supply lines are located throughout any home plumbing system; in fact, you probably already noticed that under the sink or toilet tank a small pipe connected between the faucets or tank and the water shut-off valve. It is important that one knows as much as possible about water supply lines because it is one of the easiest plumbing repairs around the house. Even though supply lines leakages are considered an easy fix problem, the reality is that most people fail to properly diagnose water leakage in their home. Most leak problems involving supply lines are small and steady leaks, which mean that goes unnoticed for months or even years and when someone notices the problem; there will be mold and bad smell present in the areas around the supply lines. My goal in this page is to educate and promote awareness about water supply lines, how to diagnose a leak and how to fix it yourself. Determining if the leak is in the supplies? The most common sign of leakage is the presence of mold under the water supply lines and around the areas where water is leaking from. Check the supplies for water rust and hardness buildup between the fittings and the supplies. If mold or hardness is present, you will probably notice water running or dripping even if it is slowly along the supplies, this means that the supplies need to be replaced. P.s: Carefully check the source of the leak before replacing anything. Water leaks are very misleading and, you don’t want to waste time and money fixing the wrong fixture. The best way to check for leakage is to have a flashlight and a mirror handy; this will allow you to diagnose the area with more precision and clarity. Before replacing the supplies, one must understand that are different types of supply lines available in the market. Water supply lines for faucets and toilets are available on a variety of materials but, the following are the most common materials: plastic, chrome and metal. Before buying the water lines, determine if the supplies will be used for faucets, tub, or toilet, also, learn about the length and the size needed. Water supply lines for toilets are different from the supply lines used for faucets. The supplies will differ in length, diameter and head size. The toilet supply lines are shorter than the faucet supplies. A toilet supply is shorter and has a bigger head in the end to proper fit in the fluid master bottom pipe connection, which is bigger in diameter than the faucet piper connection. The faucet supplies are in most cases twice as longer as the toilet supply. In most cases, the plastic and chrome supplies will have the same diameter; however, the head of the faucet supplies will be smaller than the toilet one. You don’t need to use leather gloves, however, latex gloves are advised to have with you, also, you will need a razor blade, different sizes of channel locks, and 7/16 crescent wrench, thread sealing tape, supply lines, new ring gaskets. This is probably one of the easiest of all plumbing jobs that you will ever do in your home, as long as you follow the below instructions. Shut off the water at the angle stop valve (s), if there isn’t an angle stop valve by the fixture, then you might have to shut the water off for the whole house at the main valve inside or outside the house in the meter. Drain all the water from the local pipe, as much as possible by flushing the toilet, running the tube, running the sink etc. With the proper tool, lose the nuts and unscrew the supply (supplies) on both ends, remove the supply (supplies), make sure to have a small container and rags to dry out the rest of the water. If you bought plastic supplies, take the proper measurement from the old supply (supplies) and with the razor blade cut the new supply (supplies) on the needed length. Wrap the threads in the angle stop valve three or four times and, after the nuts and gasket rings being through the supply (supplies), insert the supply inside the valve fitting and then, manually tight it on both sides, because to not cross thread the nuts, you don’t want to damage them, once you have threaded all the way, use the crescent wrench to finish tightening the nuts. Turn the water back on and check for leaks, if there are no leaks, you have accomplished the task successfully. This whole process should take about 15 to 30 minutes. This entry was posted in Plumbing Services, Uncategorized by Whit Kinser. Bookmark the permalink.